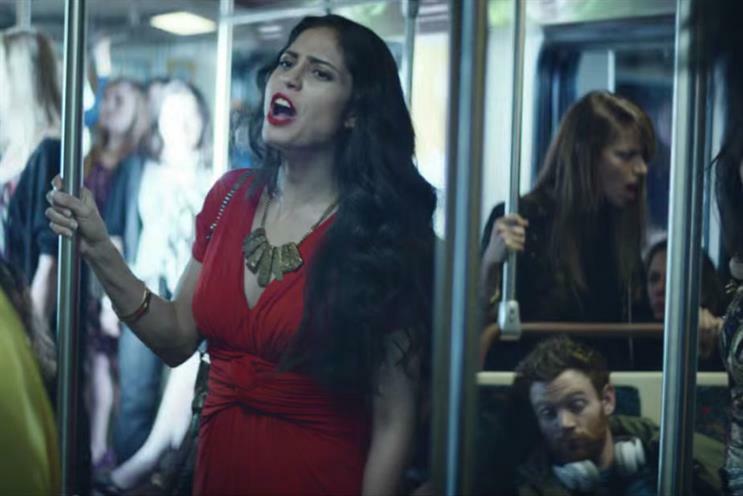 Heineken turns to women to help curb men's drinking in a global ad that champions moderation. The ad, called "moderate drinkers wanted", was created by Publicis Italy and will air across 30 markets worldwide from 13 January. The spot shows frustrated women striding through the city and singing I Need A Hero as drunken men slump and slumber in nightclubs and bars. At the end of the ad, a man charms the woman serving him drinks in a bar when he turns down a second bottle of Heineken and leaves with his faculties in tact. Heineken released the ad after polling 5,000 21-35 year-olds about their drinking and finding that, among other things, wanting to be in control of their image and the threat of being shamed on social media was spurring them to drink less. Agnieszka Gorecki, Heineken’s communications manager, told Campaign: "We have observed this trend for moderation and the object of the campaign is to encourage it". The brand has been running ads that promote responsible drinking since 2011, beginning with its "sunrise belongs to moderate drinkers", which was followed by its 2014 ad, "dance more, drink slow". But this is the first time that the brand has attempted to enlist the help of women to promote the message. "Our target audience is still men, from the legal drinking age to 35," said Gorecki. "But this time we wanted to use women as influencers. We believe that women play a strong role in men’s lives and we began to think that they could help us make moderation more of an active choice." Gorecki believes the campaign will be effective through its distinctiveness meaning that "at the point of consumption they recall the brand". Heineken has put 10 per cent of its annual marketing budget into this campaign. The work was written by Michele Picci, art directed by Simone di Laus, and directed by Nicolai Fuglsig through MJZ London. The research on millennials’ drinking habits was conducted by Canvas8, on behalf of Heineken. According to the report, which polled 5,000 people across five countries, 59 per cent of millennials limit their alcohol consumption because they don’t want to lose control, while 36 per cent say they’ve been shamed by appearing drunk in pictures on social media. Gorecki added: "This study shows moderation is becoming an active choice for an image-conscious generation wanting to stay in control. Drinking responsibly enables millennials to shape their own reputation and to make the best of every opportunity thrown at them. Given the pervasiveness of social media for this age group the ‘personal brand’ is key, so it’s increasingly about quality not quantity."